Is It the Right Time to Have an on-Demand Application for Your Business? Well, the truth is that most business owners likely including you, find themselves on the same crossroad as Johnny. They’ve read several success stories of how both relatively new and existing businesses raised their game by creating an on-demand mobile app for their customers. However, they still wonder, is now the right time to have an on-demand application for our clients business? The reality is that there is no definite answer to the question about when a business owner or firm should consider having an on-demand application. Several factors come into play when making such a vital decision, and we’ll reveal them as the article unfolds. For the basics though, let’s discuss what an-demand mobile app is and why it is even a topic for debate. What is an on-demand mobile app? On-demand mobile apps, otherwise known as On-demand service apps are mobile-based applications that allow a user to get almost instant access to certain services offered by an individual or company. In other words, a service provider creates an on-demand app to serve as a channel for clients to quickly get in touch with them or possibly complete some other tasks even without support from anyone else. A perfect example of an on-demand service app is the widely used Uber mobile app which allows users to book riders on the smartphones, thereby removing the stress of trekking long distances or even standing too long to get a cab. The Uber app tops the table when you’re searching for an on-demand mobile app for cab services, with an estimate of 8 million users across 70 countries. With the incorporated Google Maps on the app, this innovative platform ensures easy connection for both riders and drivers, helps users or riders locate and track the nearest available cab thus; riders wouldn’t spend much of their time waiting for a ride. The service has a streamlined payment mode as there are other payment alternatives (Debit or Credit Card and Mobile Wallet) available for the user apart from using cash. Instagram is a compelling on-demand social media app when compared to other social apps of its kind. Reportedly, Instagram is recorded to have about 500 million users around the globe. No doubts the app has many users because of easy usage and connection to diverse individuals using hashtags. The app, unlike others, provides good ROI for business marketers as well as business tools and ads. Airbnb is an app which can help you book and do suitable plannings for your holidays with better accommodation than hotels and take care of the spaces in your house for tourist sake. With the new high-tech Airbnb app, you can search and book desired locations right away from your mobile phones without hassles and also make easier deals. Netflix is the world most ranked on-demand video based app for user to watch TV programs and videos anywhere just from their Mobile phones. Netflix is the stop shop to catch up with memorable experience anywhere and assess different movies and genres from the app. Some believe that the platform became popular because most of its like are yet to host the features available on Netflix today. According to Forbes, Netflix recorded about 2 Million subscriptions lately, which stepped up to total stats to 5.2 million subscriptions. Amazon is a premium eCommerce service all over the world. Amazon provides real worth for its customers who base on a wider variety of items to get what they are hoping to purchase. This approach tends to generate more sales. The Amazon app is fast and convenient to use. It helps you to search and check on a different variety of items on sale with just a few clicks. Amazon has many payment options through which simple checkouts transactions can be completed and as well get updates regarding the recent order placed. YouTube obviously, is the world’s foremost video platform ever. It aids so many talented creators all over the world to add, connect and share their unique works to their targeted audience. With a lot of videos available on YouTube, a good number of viewers love the platform. The Mobile app allows users to get an update on the current trending video on the platform and also search to find videos. You can also subscribe to a channel, share, comment, and get recommendations through the mobile app. Dropbox is a trusted cloud storage app which works perfectly on so many gadgets including iOS and Android. The on-demand mobile app supports commenting on documents, transferring of data or files between two or more persons and can also help you explore anything you uploaded to the cloud. This app is quite similar to Google Drive. You can automatically store up images from your mobile phone and then upload to Dropbox. Spotify is arguably the most prominent music streaming app with a lot of amazing features. Spotify app includes ad-supported features in the basic membership, whereas the premium membership can remove ads at will and explore other features on the premium plan such as an offline mode for songs when you couldn’t stream. Seamless is a popular food ordering app, which allows users to order food right from their mobile phones. It is part of GrubHub (a food ordering company) and will enable you to place an order in any restaurant of your choice. The Seamless food app appears unique, as more value is added to the users as they have a good number of restaurants to order from. It also ensures a user-friendly interface when compared to its likes. Pocket is a useful app, as it enables you to share and save data like articles, videos, etc. With the mobile app, you can download the clean format of stories, an active readable interface for offline documents, and can read your content as well. You can create an interactive section through the through commenting and sharing of articles. The app brilliantly learns and keep track of what you prefer reading, and so it will always recommend your favorite pieces. 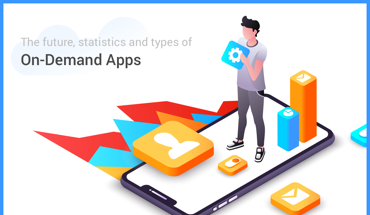 Now that we have a clear picture of what on-demand apps are and common examples let’s see some statistics that should move business owners to want an on-demand app to serve their client base. According to CBInsights, 23 out of the total 326 global companies worth over $1 billion are servicing the on-demand industry. Additionally, as we revealed in our infographic content on on-demand app statistics and popularly used apps, the on-demand economy is attracting more than $57.6 billion in spending from roughly 22.4 million users. Given that 49% of these consumers are millennials while 30% of them fall within the ages of 35-54. It is clear to see that the on-demand app industry still have a massive growth potential locked in for both the short and long-term. Lastly, within the last five years, on-demand app startups have raised $75 billion with PwC expecting those numbers to reach $335 billion by 2025. No doubt, you probably now understand what you’re leaving on the table by not having an on-demand mobile app for your business. There is a lot of potential revenue locked into this kind of applications irrespective of the niche or industry that will use it. However, does the statistics mentioned above support that every business must have an on-demand app? Not at all. There is no guarantee that work works for Company A will work for Company B or C either. Next, we’ll discuss the factors to consider why deciding whether or not to embark on the journey of creating an on-demand app for your business. Arguably the existing user base and the level of demand is the first factor to consider when you begin to nudge the feeling that your business needs to have an on-demand mobile app. Take Johnny for instance in our earlier example. Having over 1000 active customers with a large potential to acquire even more is a good sign that his laundry business is due for an on-demand app. Creating an on-demand app would likely allow his business to focus more on rendering their laundry service, minimize time spent on collating customer orders, and promote key events, and discount codes through notifications. Now, what if Johnny clients are the ones asking him to create an on-demand app? In that case, then, there would be little reason not to. Closely monitoring customer behavior over a relatively long period. Conducting surveys in-shop, on social media or other platforms. Reviewing the performance of on-demand app offered by competitors. If there is significant interest among your clients or the target market that they would use an on-demand app, then there will be no reason to keep denying them the opportunity. It could prove to be a significant turning point for your business! Conclusively, it is essential to try and figure out whether interest in the on-demand app is something that can fade away quickly. You wouldn’t like to go through the process of developing an on-demand application, only to find out that the market demand was just relevant for a period. At this point, we understand that having an on-demand application may not yet be one of your business goals, so it may not be wrong to put it off for sometime in the future. However, it should not be too far in the future that you lose out to competitors who are already taking action. For instance, if your business goal is to acquire more users who fall within the age of millennials or only people who are internet inclined, then getting an on-demand app for them may be the shortest cut to achieving that result. Also, if you’ve dominated the offline market for a long time and now want to experience the power of exposure to the global market made possible by the internet, then having an on-demand app may be the best way to go. While setting an on-demand app as a business goal, it would require that you critically point out key areas where it can boost revenue, profit and your client base. Having this in mind can help you or your organization figure out which spot developing an on-demand application should take on your priority list. On a final note, you shouldn’t jump into creating an on-demand app because everyone else is doing it. If it doesn’t suit your business goals, then you wouldn’t be wrong to decide not to go ahead with developing one. As you may already have learned from the statistics provided earlier, the on-demand mobile app industry is one of the most competitive sectors of the eCommerce space. For this reason, you will have to factor existing market competition when deciding whether now is the right time to have an on-demand application for your business. There is a very rare chance that there is no other company offering the on-demand app service that you have in mind, albeit there is a possibility. So, find out what your competitors are already offering and come up with ideas on how to improve on it. Aside from existing market competition, thinking critically about what solutions might arrive in the future as an upgrade to what you’re already planning to release can help you figure out what else your on-demand app could use to stand out both after launch and in the future. Finding a unique proposition for your on-demand app is one strategy that can help you beat the market competition or at least to play with the top guys in your niche. You may also want to figure out other ways to outwit the competition before you go on to develop the on-demand mobile app. Following those measures can help you avoid adding your name to the growing list of millions of on-demand app service providers who only take whatever portion of the market share that is left by the significant players. Although the primary purpose of having an on-demand app is to satisfy your market, it should not come at the expense of your business. What that means is that you should strongly consider whether your business can afford the cost to develop an on-demand mobile app. Depending on the futures you expect to have on such an application, the cost of making them can substantially be high, so you want to make sure that the source of funding will not affect the overall business negatively. For startups who have a brilliant on-demand app idea that they have tested with good results, soliciting for seed funding and venture capital funds can serve as an alternative source of money to develop the app. The success of Uber and similar companies highlight that investors are ready to support your on-demand delivery app development if there are definite signs that it can yield a profit for them in the long run. The geographical factor comes into play if your on-demand mobile app does not serve a global audience straight out the door. If that is the case, you may want to consider the behavior of potential customers leaving in the target region. How many of these customers have used an online payment system or are familiar with the internet? Are there any challenges to internet access in these areas? Will social belief and public opinions in these regions restrict the performance of your app? Finding the right answers to these questions can help you figure out whether now is the right time to launch your on-demand app or whether you’ll have to wait before going into the market. If you’ve weighed all the five factors mentioned so far and feel that now or maybe soon would be the ideal time to start an on-demand app business or create such an app for your organization, then you’re on track. Next, let’s consider the cost to develop an on-demand application. You could use our mobile app development cost calculator afterward. When you hire on on-demand mobile app developer, you are paying them to create three interfaces; one for the consumers, one for your business and another for the handyman offering the service. For example, a food delivery on-demand app will have an app for the customer to place an order, an app for the cook preparing the food and another app for the business owner to manage proceedings effectively. 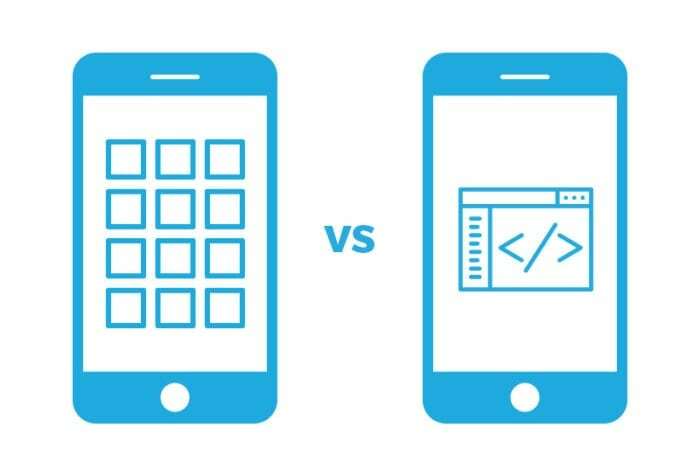 Therefore, all these factors including the capabilities and features you expect to house in your app, determine the total cost of developing the solution and getting it live on the platform where users can install and start engaging with it. Building an app similar to Uber costs less these days because there are scripts for mobile developers to create uber-clone apps without building from scratch. But there are no scripts to create an on-demand app if you’re inventing an entirely new idea or want to introduce a suite of new features to the uber-cloned platform. Also, the average cost of developing an on-demand android app is different from the cost of developing an on-demand iOS app. These reasons are what makes the cost of developing an on-demand application vary. For the sake of numbers, however, you may want to consider that it takes an average of 2000 hours to develop a full-fledged on-demand mobile application that aligns with requirements set forth by a business. Multiplying those numbers by the cost of hiring an experienced app developer or company per hour may bring you closer to the estimated cost of building an on-demand app for your business. Bear in mind though, that in most cases the amount you spend to create your app has an overall effect on what comes out as the final solution. Choose an on-demand mobile app development company that builds the best solution that our budget can afford. In the end, you or your organization’s head will ultimately make the final call on whether now is the right time to have an on-demand application for business. However, putting the factors we mentioned earlier into perspective will likely help you arrive at a more favorable decision that favors the growth of your business. If you finally decide that now is the time to develop an on-demand mobile app for your business, we’re are here to help you bring your dream to reality. How Much Does It Cost to Develop an Application in 2019?